We love Evernote®. We love how Evernote’s making every note portable and accessible. We make more notes because of Evernote®, more than we probably should. But all the notes look plain. How many times do you yell “Gosh! I wish Evernote® could have more editing features!” This time we take up the challenge and respond to that popular request. We present you EleEditor, a mobile app that complements whatever Evernote® does with more. With EleEditor, you can grab the elements from Evernote to the scrapbook or collage the elements and customize the notes with your own layout design, image sizes, text styles, drawings, and annotations. Yes, you heard it right- we just take note-taking to a new height. What about the tags and notebooks in Evernote® works? EleEditor preserves tags and notebooks. 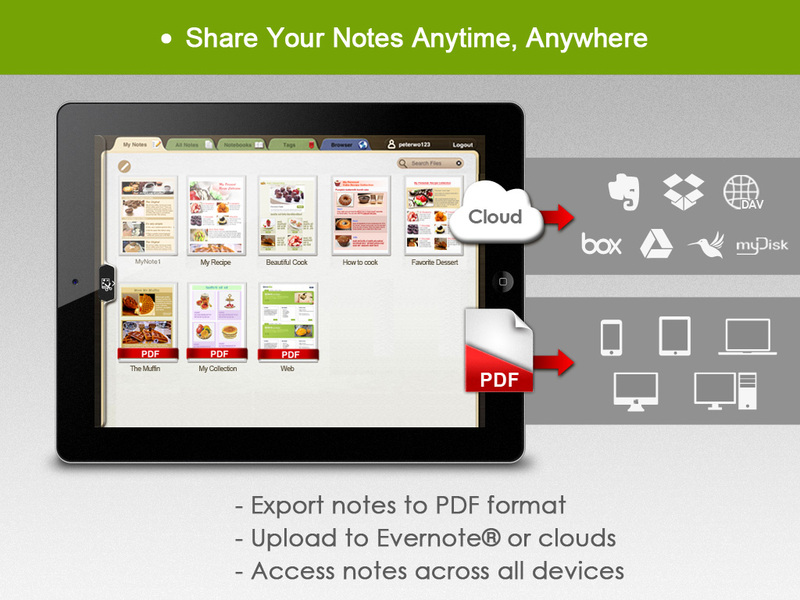 Better yet, the notes polished by EleEditor can be saved right back to Evernote in PDF format. EleEditor comes with a built-in web browser which allows you to capture website contents and bring them to your notes directly. EleEditor does it all for you. 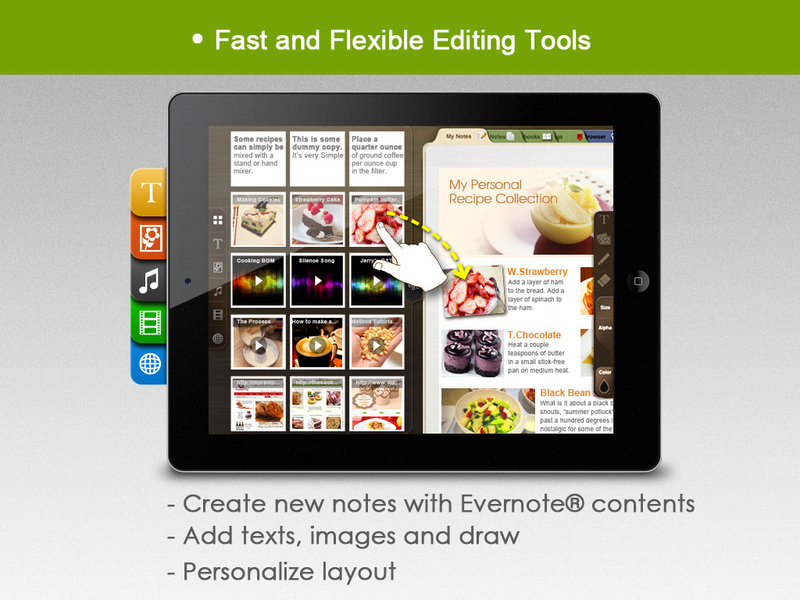 Inheriting from its big brother, NoteLedge, EleEditor supports multimedia note-taking. That means you now can make unique notes with audio and video clips, save the notes as PDFs with multimedia files stored on Dropbox, and upload them to major cloud storage options embedded in EleEditor. Start the new way of note taking today. 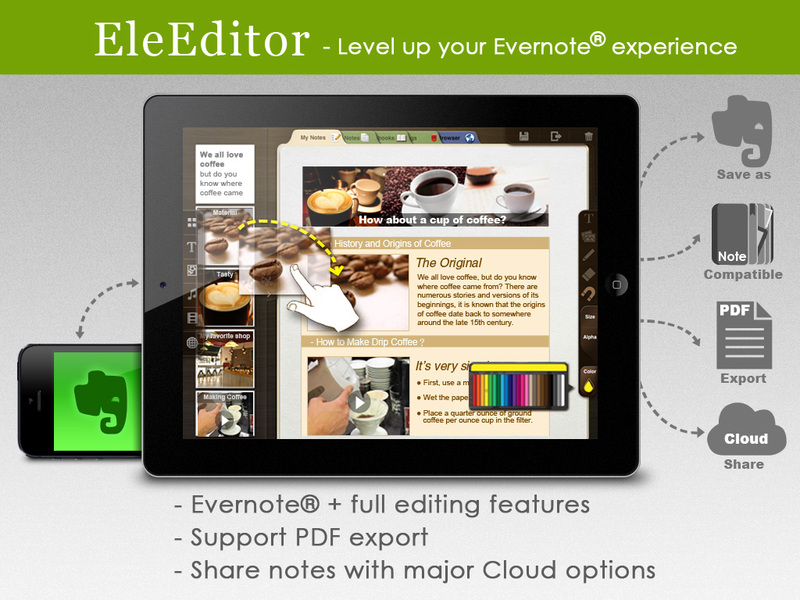 *EleEditor is neither sponsored nor affiliated with Evernote®. 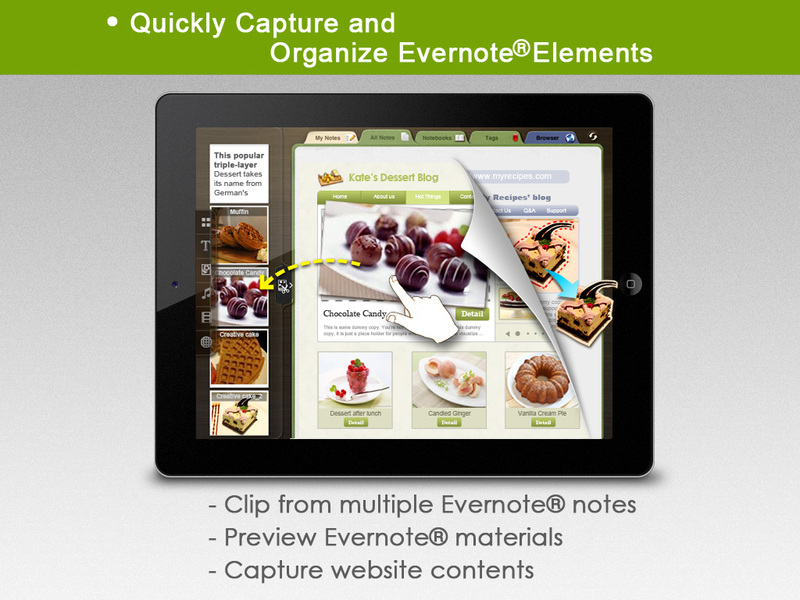 Evernote®is a trademark owned by Evernote Corporation, and EleEditor is only integrated with the Evernote® API. Kdan Mobile Software Ltd. does not represent Evernote Corporation.